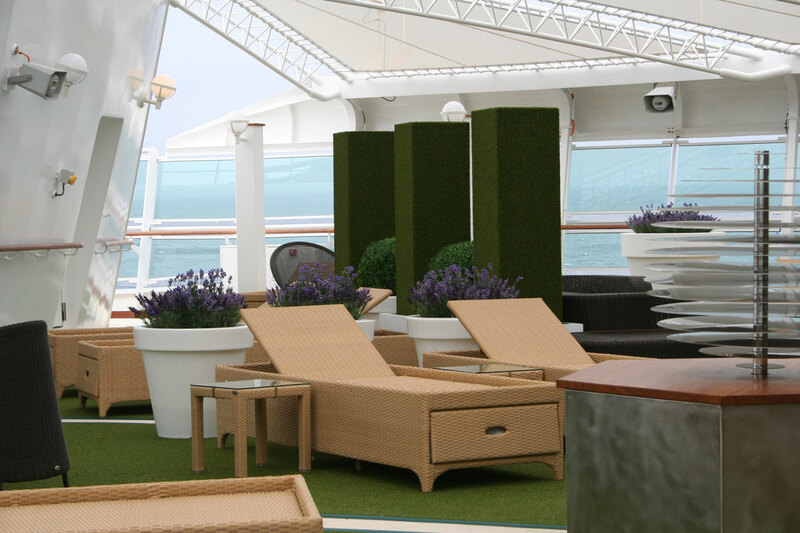 So pleased were P&O Cruises with the standards set by our work on MV Ventura two years ago, they asked us to work on her sister ship, MV Azura. Although Azura is built from the same platform, the interior spaces are very different, featuring a more sophisticated ‘grown up’ theme throughout. 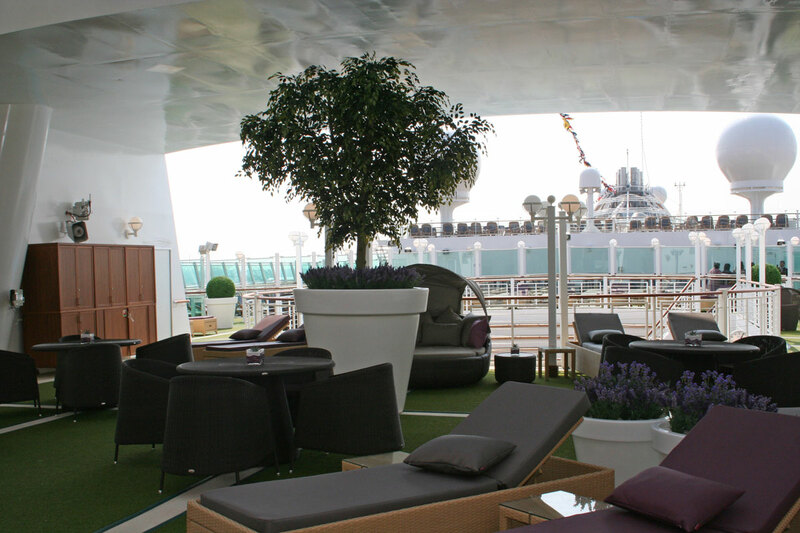 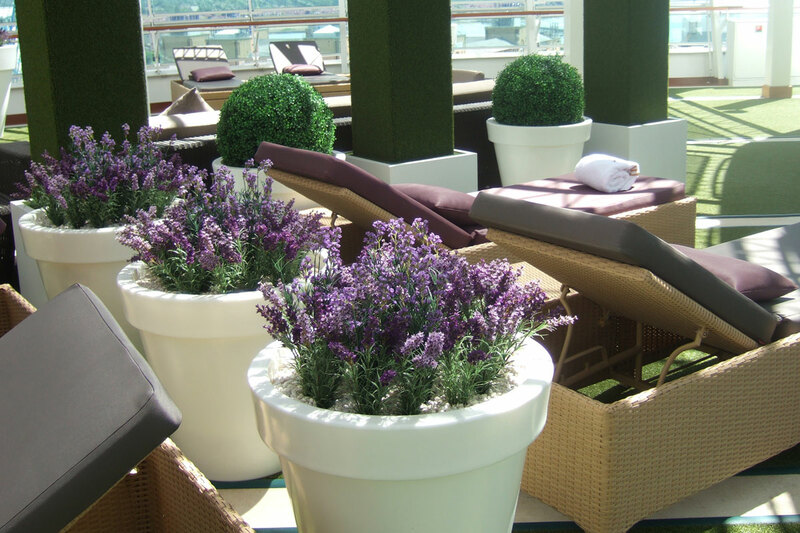 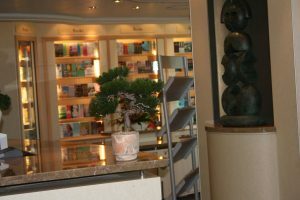 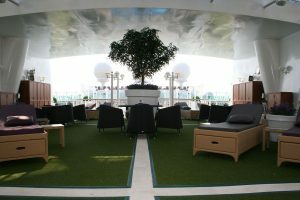 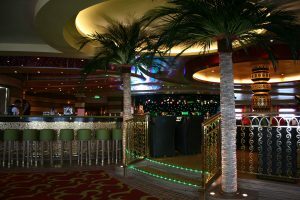 For Azura, P&O Cruises introduced a new area on board, unique in the fleet, called The Retreat, an adults-only al fresco spa terrace. 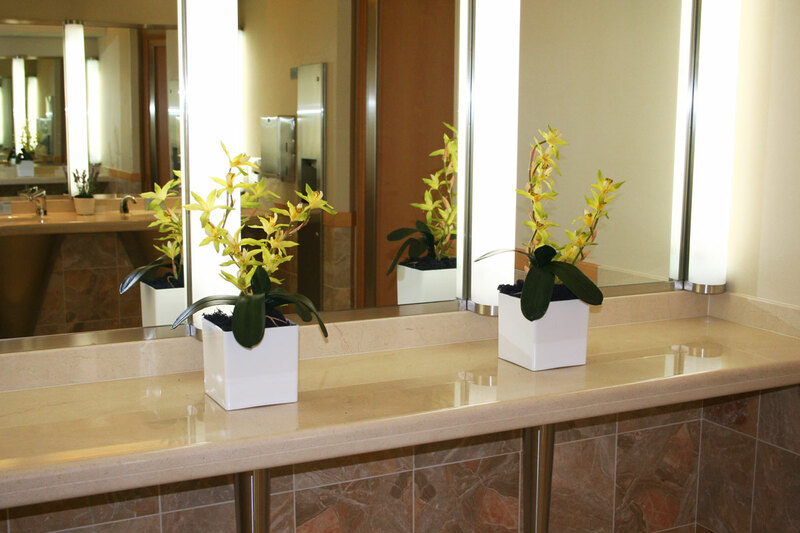 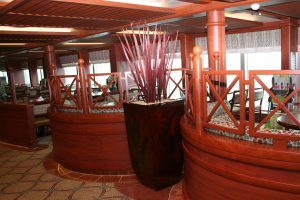 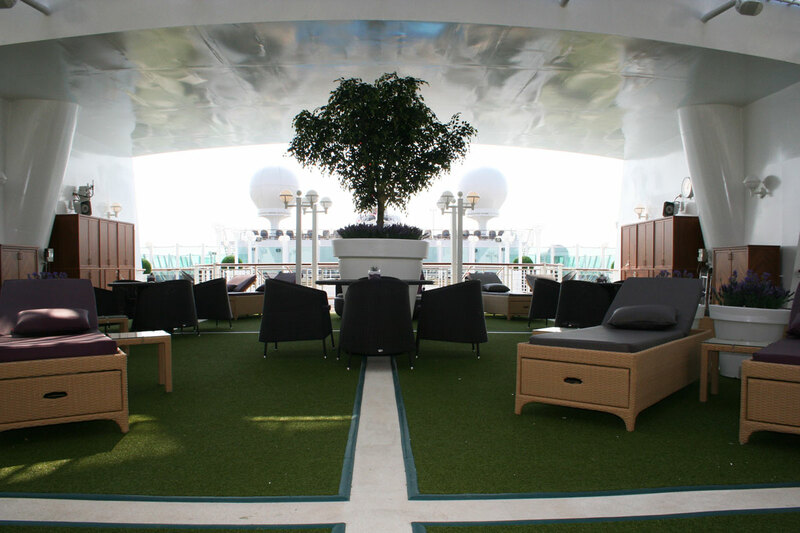 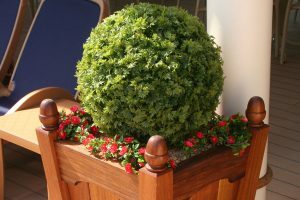 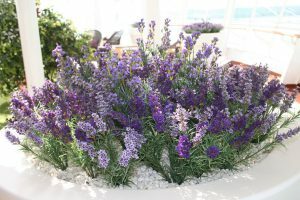 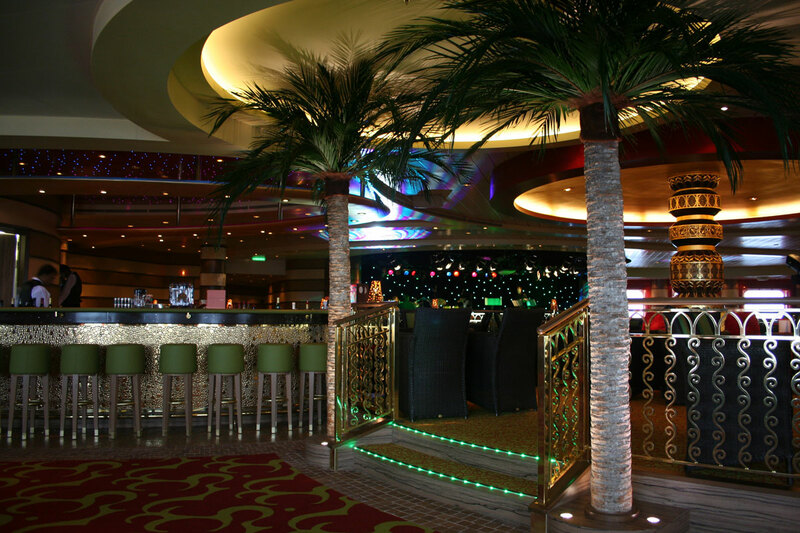 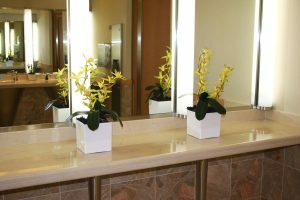 Working with the interior designers and P&O Cruises’ product marketing and ship building teams, we developed a series of planting designs for the public areas. 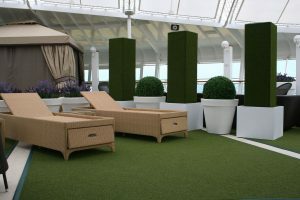 All the installations took place in transit from the shipyard in Italy to Southampton to ensure she arrived in top condition for the naming ceremony by Strictly Come Dacing star, Darcey Bussell. 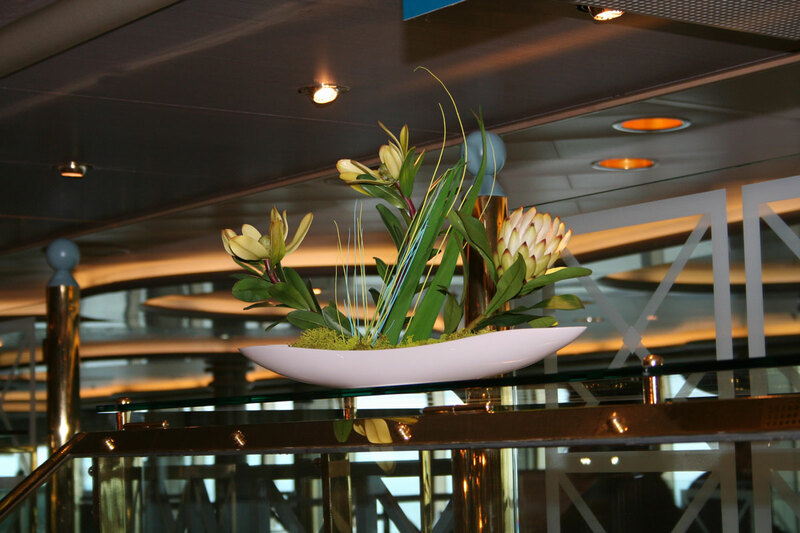 Azura’s tagline is “one ship, endless stories.” We are proud to have played a small part in one of those stories. 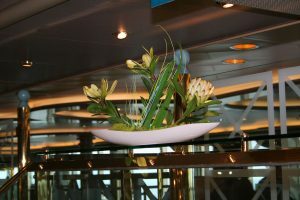 This entry was posted in Case Studies, Marine & Cruise Ship Case Studies. Bookmark the permalink.